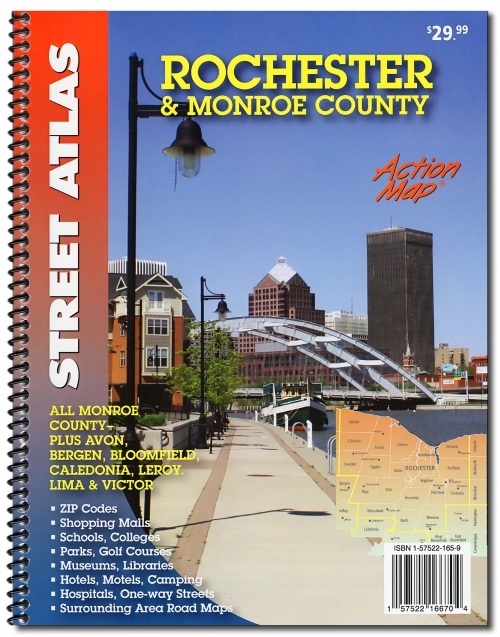 Broome County Map Book, 31 pages, with key map and detailed full color street maps, with zip codes and street number blocks, streets are fully indexed. Many points of interest including airports, cemeteries, city halls, golf courses, schools, hospitals and medical centers, fire stations, libraries, parks, police stations, shopping centers & etc. 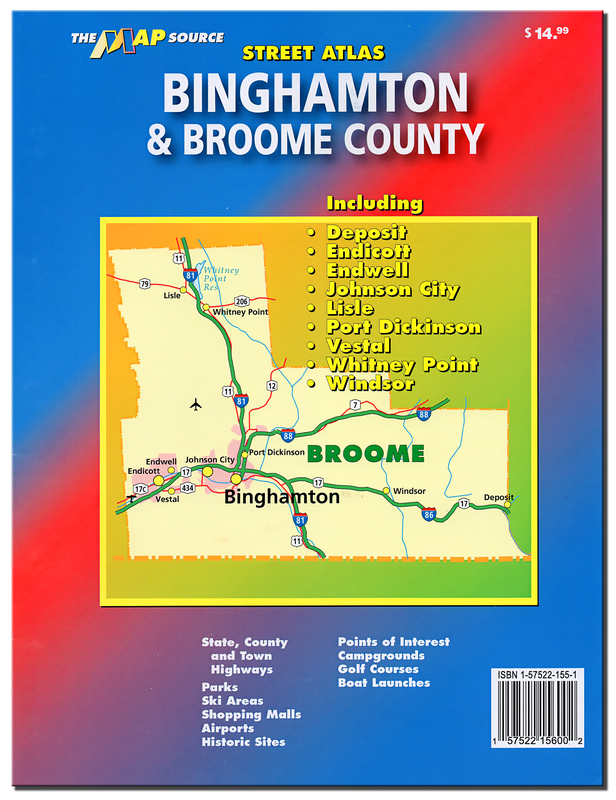 Binghamton & Broome County Atlas – Broome County Map Book, 31 pages, with key map and detailed full color street maps, with zip codes and street number blocks, streets are fully indexed. Many points of interest including airports, cemeteries, city halls, golf courses, schools, hospitals and medical centers, fire stations, libraries, parks, police stations, shopping centers & etc. Size 8.5”x11”. Edition 2014.